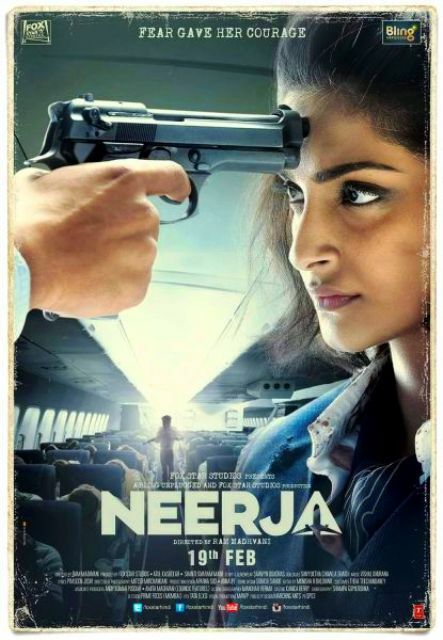 "Neerja" is an 2016 Indian biographical film based on true event of 'Neerja Bhanot's life', movie directed by Ram Madhvani, and starring Sonam Kapoor in main role as Neerja Bhanot and Shabana Azmi and Shekhar Ravjiani in supporting roles. The film was produced by Atul Kasbekar under the banner of Fox Star Studios. The film revolves around the factual hijacking of Pan Am Flight 73 in Karachi, Pakistan specifically focusing on flight attendant Neerja Bhanot. This film shows how the young flight attendant fought for the lives of her passengers. The film is scheduled for release on February 19, 2016. Music Composed for all movie album tracks by Vishal Khurana.